DUBLIN (WSLS10) - One school in the New River Valley is seeing an improvement in students academics, and behavior. School officials said it's, partly, because of an after-school program that's helping children with social skills. The students run their own "Micro City." Some work in a restaurant or sheriff's department. Mary Blackford is the sheriff and her job is oversee the peacekeepers to make sure they're keeping the citizens orderly. "I think it's pretty fun, I just don't like to boss everyone around I'm just like their friend," Blackford said. Blackford said while she does have fun in the program, she has learned some life lessons. "You have to be on time you have to make money to get things, certain things," She said. Rhonda Dalton is the lead teacher of "after school" program. Dalton said the program has been going at Dublin Elementary School for 7 years through the Beans and Rice organization as a community partner. The program begins with university time where students focus on school work and then it leads into society time where the children run their city. Dalton said the kids have been successful. 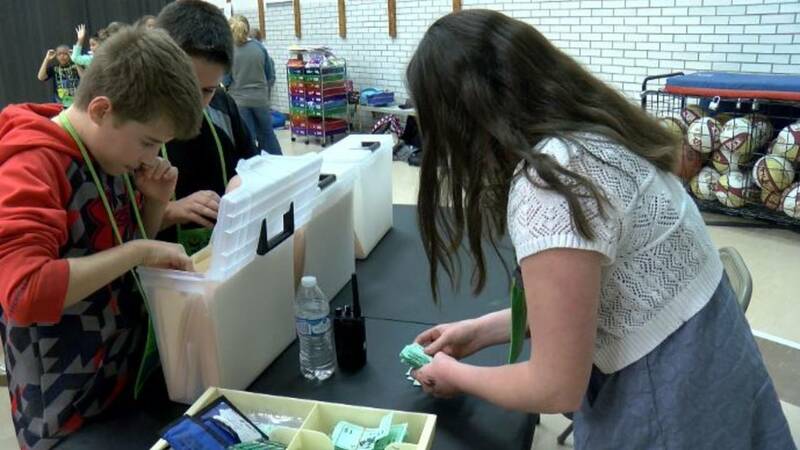 "We monitor stuff like their reading scores math scores and stuff like that, we have kids in the program we want to see if their scores are growing and see where the needs are and what we need to work with" Dalton said. Through the Beans and Rice organization, 84 % of students either improved or maintained acceptable levels of academic performance. About 80 % of the students in the program met their monthly benchmark goal. Seventy nine % of the parents whose child is in the program have seen an improvement in reading, writing or math.